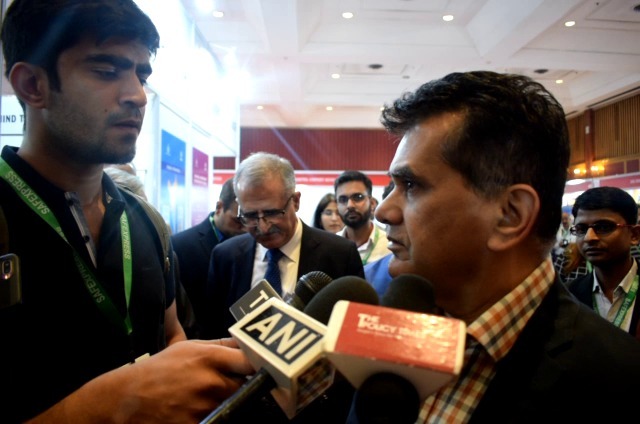 New Delhi : (27/03/2019) Today, Niti Aayog’s CEO Amitabh Kant inaugurated the first-ever Global Economic Zones (GEZ) Expo & Convention 2019, organised by the Export Promotion Council for EOUs & SEZs (EPCES) in collaboration with Wbf International Centre Services (WICS), and managed by the Exhibitions India Group (EIG). After the session media insisted him for an interview and started with some questions related to the convention. The event was a platform that allows sharing of good practices and experiences between special economic zones and highlights the role they have played in the development of the country.